The revolutionary Grippit wall frame can be yours to enjoy in your business or office premises, direct from Valentino’s Displays. If you’ve been looking for high quality, versatile display frames for wall mounting, look no further than this innovative addition to the range of wall signs in the UK. Colourful, easy to use and incredibly durable, Grippit wall frames are the perfect choice for all your display needs. These brightly coloured wall frames work using very simple ideas, but in a hugely effective manner. The patented pin free Grippit system houses rubber strips inside each powder coated slat, which grip and hold on to any media pushed up against them. You can quickly and easily display anything, from posters to postcards, documents to photographs, using these popular and super simple wall signs. We supply Grippit wall frames UK wide in a huge range of sizes and colours. The Grippit wall frame can be customised to display either in a portrait or landscape orientation, and can be selected to be the perfect size for your own unique needs. These metal wall signs start at a compact 414mm x 710mm size, ranging in shape and area up to the biggest, our 1591mm x 1170mm display frames for wall mounting. Once you know what size you’re after, it’s time to get creative with the colours. Grippit is available in 12 different and very vibrant colours, each one powder coated to ensure a long-lasting colour effect and deep, brilliant shades. Whether you pick show stopping traffic red or a more mellow shade such as white or slate grey, the freedom is yours to create the perfect wall signs for your unique needs. If you love the thought of getting a professionally written wall sign for your business, but dislike the cost and lack of flexibility, Grippit tile signs offer the perfect solution. Using supplied tiles in your choice of either colour matched or a complementary colour, you have the freedom to produce your own unique sign written notice board, and the flexibility to change it when you like. One of the most beautiful things about Grippit wall signs is that the mechanism of attaching your media to the sign means everything self- aligns. No more fussy adjustments, no more wonky graphics; with Grippit wall frames, your display will always be poker straight. The letters of the tile signs self align too, so you can achieve a flawless, professional sign more easily than ever before. Here at Valentino’s, we believe in going the extra mile for our customers. 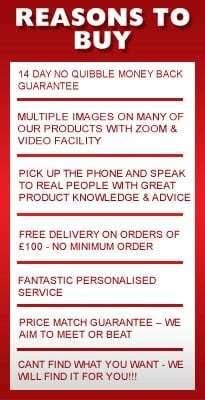 We want you to have the products you need, when you need it, which is why we offer speedy delivery on all our wall signs to UK addresses. As well as fulfilling orders for wall frames in the UK, we can also deliver all our products to addresses in Europe and beyond. If you would like to order display frames for wall mounting to ship to an international address, do get in touch for a personalised quotation on your shipping costs.